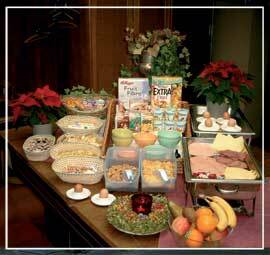 Hotel “De Klepel” provides you with an extensive breakfast buffet so you can start the day well. Lunch packages can be requested (12,50 Euro per lunch package ). Would you like to surprise someone, give a Breakfast Voucher for an amount you can choose yourself. The vouchers can be ordered via the reception.